A man tagged as a high-value target in the police’s anti-drug campaign was arrested during a raid at his residence in Tagbilaran City on Sunday afternoon. Tagbilaran City police chief Supt. 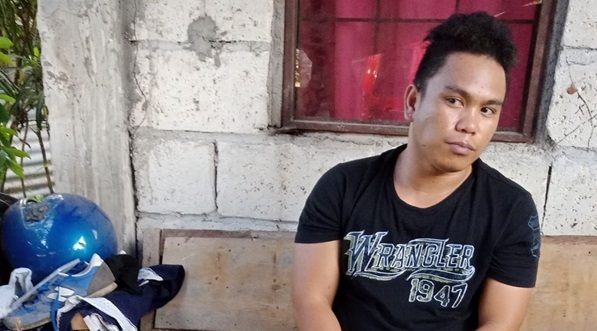 Patricio Degay, Jr. identified the alleged drug personality as Allan Noel Ceballos, 28, a resident of Barangay Tiptip in the city. Police conducted the raid bearing a search warrant issued by Judge Suceso Arcamo, presiding judge of the Regional Trial Court Branch 47 in Tagbilaran City. According to Degay, Ceballos was listed as a high-value target due to the amount of drugs he received and peddled. In a report, police said that Ceballos was caught in possession of 18 packets of shabu with an estimated weight of 9.3 grams. The seized drugs were estimated to be worth P110,000.